Many small business owners distribute petty cash or checks for typical company expenses. However, these traditional payment methods make a business more susceptible to fraud and theft. Employee debit cards keep these transactions secure and accurately track your expenditures for simple accounting. 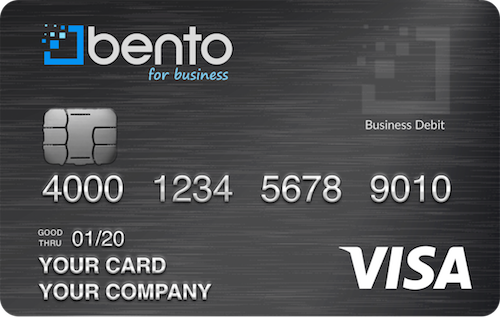 With a business Visa debit card, such as those offered by Bento for Business, it’s easy to monitor your cash flow and manage company spending. Each employee with purchasing powers is allocated a specific monetary amount. Consequently, every employee is restricted to buying items listed under a specific category. Similar to other prepaid debit cards, employee debit cards are not credit cards. You do not receive credit card statements or risk lowering your credit score. Instead, the funds are automatically debited from your bank account—and all the employee debit cards are controlled by a single administrator. Employees may inadvertently or intentionally make a personal purchase with their business expense account. Even if the purchase was allowed, you may never get reimbursed. You want your employees to use their expense privileges when needed— and Bento cards enable you to do so confidently. With a Bento for Business account, you’ll forget the headache of expense-tracking and its endless paper-trails. Oversee your business expenditures without the hassle and risk by considering Bento prepaid employee cards. The first step is to apply for a Bento for Business account. Once your business is approved and your account is verified— which can take as little as 2 days— you’ll be able to use the Bento app. When you choose a debit card for employees, this smartphone and PC application gives you the option of setting spending limits for each of your employee’s cards. Furthermore, you can designate categories— such as office supplies, food, gas, or specific stores— for which the cards may be used. Using the Automated Clearing House (ACH) typically takes two to three business days to transfer funds from a bank account to your Bento account. Once the money is transferred, you decide where to allocate the funds. Keeping track of purchases made with employee prepaid cards is a simple process that does not require special book-keeping services— you can even sync with QuickBooks. Receive a free trial for the first sixty days before deciding to purchase a plan— and receive two complimentary Bento cards. After the trial period is over, you have the option to order additional cards for a nominal monthly fee. For $29 a month you can get up to 10 employee prepaid cards. A Bento account gives you the luxury of time and security and allows you to operate your business with utmost efficiency. Bento for Business wants to make your life easier. Use the convenient mobile app to manage employee expenses. In lieu of filling out tedious expense reports, the app automatically tracks and establishes a record of any and all card activity. You can easily set or change a card’s numerical or categorical limits from your Bento account dashboard. Alerts and reminders will let you know if a card is overdrawn. If you suddenly realize that you or an employee needs to make a purchase, simply raise the spending limit or designate the retailer on one of the cards. Utilizing secure SSL encryption, you don’t need to worry about privacy or security issues. In addition, each Bento account is federally insured— with FDIC insurance up to $250,000. 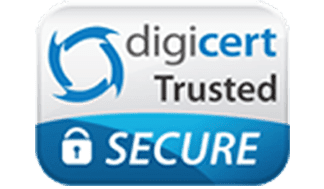 Gain better control of your business expenses within a totally secure system; if you’re still not sure— read our customer reviews to see how using employee debit cards have benefited their businesses. Procrastination is the enemy of your business goals. Fill out the simple online form today to receive your complimentary trial offer for sixty days. Feel free to contact the call center at 866.220.8455 for more details about the debit card for employees offer. Business Debit Card— Why Get a Debit Card for Business? How Can Using Business Prepaid Cards for Employees Help You Track and Control Spending?